1. A form of life insurance offered by some employers where the employee is given the option to pay his or her own premiums. Premiums for a voluntary life insurance policy can be less expensive than similar individual life insurance policies due to a company's group discount. fringe benefit Employee compensation other than your wages, tips and salaries, such as health insurance, life insurance and pension plans. Usually referred to as a Bonus. group health insurance plan Health insurance that covers a large group of people, often as part as a employee benefit package. group life insurance Life insurance offered to a large number of people belonging to an organization, usually as part of a benefit package. health maintenance organization (HMO) A healthcare plan where insured people receive reasonably priced health insurance through an organization with firm guidelines on the scope of care. life insurance An arrangement where an insurer agrees to pay a benefit to one or more beneficiaries in the event of the policyholder's death. Our a new and improved mortgage calculator has everything our clients have requested over the years. Learn how mortgage interest rates, payment schedules and amortization periods influence the cost of your mortgage. Easily compare competing rates or add lump sum payments to the calculation. 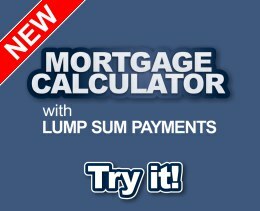 Try our new mortgage calculator.